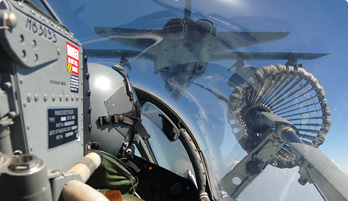 Contemporary air power needs to be flexible, hard hitting, rapid reaction and readily available. The Panavia Tornado weapon system combines in one airframe a full deterrent capability, representing the most effective aircraft of its class today. Tornado was designed and produced by the aircraft industries of three nations, in one of the largest, most challenging and most successful multi-national aircraft programmes ever conceived.